The area defined by Nova Scotia's Mersey River has been home to many: the Mi'kmaq, the English, the French, the Black Loyalists—even pirates and rum-runners. A location renowned for its natural splendour, in 1930 the Mersey River became home to anouther important resident: the Mersey Folk Lodge. Originally intended as a respite for friends and family—and potential business partners—of Liverpool's Bowater Mersey Paper Mill, the Mersey River Lodge has since become a tranquil retreat for both personal and professional excursions. 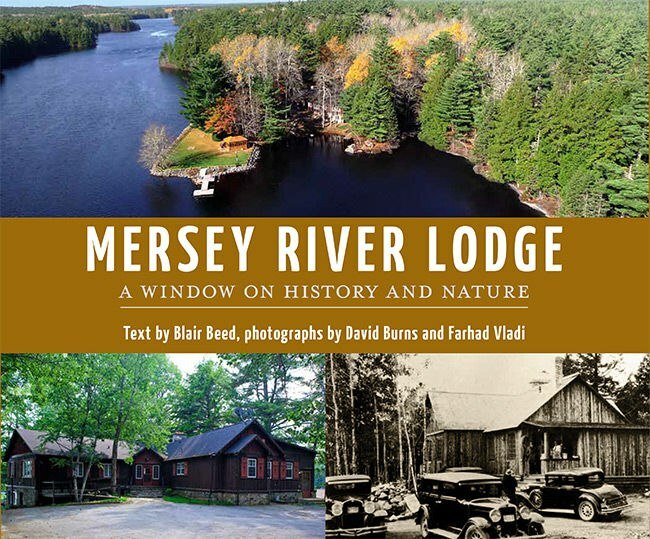 Written by Halifax historian Blair Beed, with breathtaking photographs by David Burns and Farhad Vladi, this beautiful keepsake celebrates the history of the Mersey River area, its industry, its people, and the lasting cultural legacy of the Mersey River Lodge.